Payment methods accepted on ESCALES Shop Online are: Visa, Mastercard, American Express, Paypal, Sofort (Germany, Switzerland, Belgium, Austria), iDeal (Netherlands), Yandex (Russia), JCB (Japan) and UnionPay (China). Multiple payments are not accepted. Shop Online prices are the same as the ones in the rest of stores. The shipping costs can be up to the client, depending on the amount of the order and the country of delivery. CAN I ASK FOR TAX FREE? ESCALES Shop Online is unable to provide Tax Free. You can choose as shipping address the one that better works for you: your home, your office or another person’s address. In order to offer you the best service, we have chosen UPS to guarantee a fast and secure delivery. UPS is unable to deliver at PO boxes. Once UPS has collected your order, you will be able to track it through www.ups.com, thanks to the tracking number you will receive at the shipment moment. If no one was at the delivery address at the first attempt of delivery, UPS will drop your box at an UPS Access Point, that can be checked with the tracking number or the notification left by the deliverer. Due to our limited numbered collections, it is possible that some items of a single order may be sent in different parcels. Each shipment will have its own tracking number, that we will be informed to you. You will only be charged one shipping cost per order (in case your order has a shipping cost). Delivery time can take fom 2 to 5 working days (Monday to Friday) for European countries. In sale period, shipping time can increase. UPS EXPRESS service is used for every shipment outside of Europe. Delivery time is between 3 and 7 working days. Your order may be subject to import duties and taxes, which are levied once your package reaches your country. Escales Paris does not collect duties and taxes and cannot predict what your particular charges may be. If you do incur these additional charges, they must be rendered in order for your package to clear customs. For more information regarding your country´s custom policies, please contact your local customs office. Shipment of merchandise imported by one person may be imported free of duties and taxes on orders below 800$. Find more info here. *Delivery times are approximate. Saturdays, Sundays and Public Holidays are not considered Working Days. 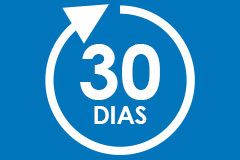 If after receiving the purchased item, you are not satisfied, escales-paris.com gives you the opportunity to exchange (size / color) or return it for a refund, within thirty (30) days. We do not accept any worn, stained, washed or damaged products. Whenever possible, please, send the returned items in it´s original packaging. Return shipping cost and method is up to the client. We recommend to use a carrier that provides you with a tracking number to track the return package shipment. The expenses related to the return of the Articles will be taken care of by Escales in the only cases where the article delivered is different from that which was ordered or if the product is defective. 1) Send an email to the address info@escales-paris.com with your first and last Name, order number and codes of the articles that are returned, without forgetting to explain the reasons for the return. 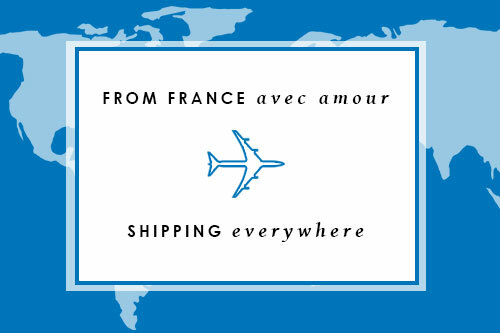 Returns from non-European countries must be informed by email to info@escales-paris.com and accepted before being sent. Our Customer Service department will respond to you within 48 hours, excluding the weekend and holidays, by sending instructions on how to proceed. It is also possible to return or exchange items in one of our following stores. We remind you that no refund will be made in store. It will be escales-paris.com who will make the refund on your credit card or PayPal account used for the payment. 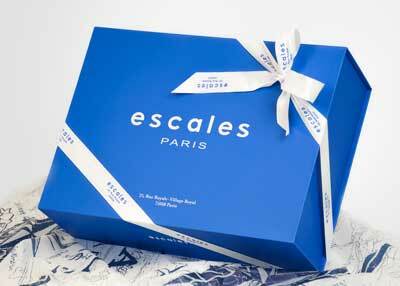 In-store Returns must be previously informed by email to info@escales-paris.com to be accepted. After checking the items returned, we will immediately refund you the amount of the items and notify you by e-mail. The time required to receive the credit on your account depends on your bank and can usually last up to 10 business days. In case of not receiving the confirmation email within 15 days, please contact the Customer Service Dept.